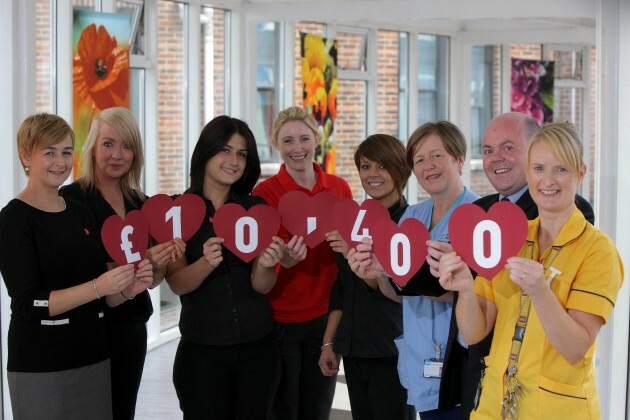 Staff from Semichem and the Children’s Heartbeat Trust celebrate raising £10,400 during their charity partnership. "A huge thank you to Semichem for selecting us as their Charity of the Year and supporting local children with congenital heart disease." Semichem Northern Ireland today (16 September 2013) announced that staff and customers have raised £10,400 for the Children’s Heartbeat Trust during their charity partnership year. Semichem staff visited the Clark Clinic at the Royal Belfast Children’s Hospital, where the charity is based, to celebrate the partnership and see the care provided to children with heart disease first-hand. The funds will go towards life-saving research into children’s heart disease, new medical equipment, resources and parental support groups for families. The Clark Clinic is the only regional unit for all children in Northern Ireland requiring specialist treatment for heart conditions. Staff from Semichem’s 25 stores in Northern Ireland have undertaken sponsored fitness challenges, in-store raffles, charity collecting tins, and other innovative fundraising feats, including staff wearing their pyjamas to work at the Park Centre Semichem in Belfast. Pictured above is Elaine Williams, Semichem Store Development Manager; Suzanne Davy, Store Manager Semichem Park Centre; Louise Francey, Store Manager Semichem Kennedy Centre; Sarah Quinlan from the Children’s Heartbeat Trust; Catherine Lenzi, Deputy Manager Semichem Park Centre; Isabelle Hannigan, Deputy Ward Manager of the Clark Clinic; David Thompson, Semichem Regional Business Manager; and Gillian Clark, Play Specialist at the Clark Clinic.